From an early age Lena Neudauer gained international recognition. In 1995 she played Vivaldi’s Four Seasons with members of the Munich Philharmonic in Japan and Munich. Four years later, Neudauer sparked sensation at the Leopold Mozart International Competition in Augsburg, where she not only won 1st prize, but was also awarded the Mozart Prize, Richard Strauss Prize for the best interpretation of Richard Strauss’ Violin Concerto and the Audience Prize. Since then, Lena Neudauer has been playing with orchestras such as MDR Symphony Orchestra, German Radio Philharmonic Orchestra Saarbrücken, Munich Chamber Orchestra, Nuremberg Symphony, Bern Symphony, Munich Symphony Orchestra, Salzburg Chamber Soloists, Collegium Musicum Basel, Orchestra die Padova e del Veneto, Symphony Orchestra of India, South Netherlands Philharmonic Orchestre and Orchestre National de Belgique under conductors such as Dennis Russell Davies, Mariss Jansons, Hannu Lintu, David Stahl, Mario Venzago, Wojciech Rajski, Bruno Weil, Marcus Bosch, Frank Beermann, Howard Griffiths, Christoph Poppen, Ari Rasilainen, Pietari Inkinen Juri Gilbo, Antonello Manacorda, Andreas Spering, Dirk Kaftan and Pablo Gonzalez. Lena Neudauer’s concerts have been broadcast many times in Germany and abroad on radio and television. For some years now, Lena Neudauer has also dedicated herself to the performance of contemporary music and has worked, amongst others, with the Ensemble Intercontemporain and Pierre Boulez as also with the Österreichische Ensemble für Neue Musik (OENM). 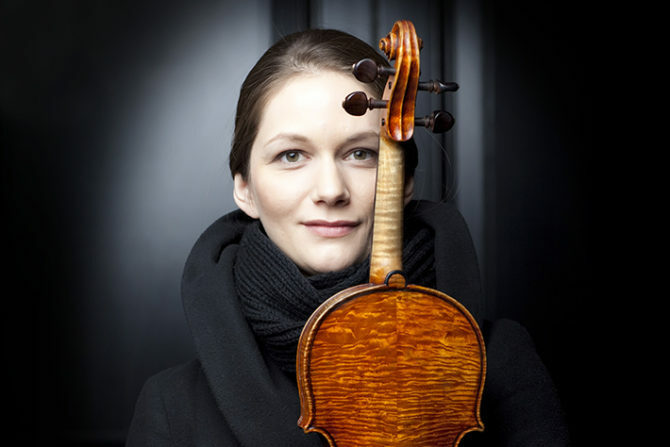 In her artistic activities, chamber music plays a significant role, which together with her solistic performances, also led her to perform in Festivals like the Mozart Week in Salzburg, MecklenburgVorpommern Festival, Schleswig-Holstein Music Festival, Braunschweig Classix, Chamber Music Festival Hohenstaufen, Euroclassic Pirmasens, Gaia Chamber Music Festival Thun, the Festival Musical Olympus in St. Petersburg, Chopin and his Europe Festival Waschau, Settimane Musicali in Ascona and the Flandern Festival. Currently she is working together with artists such as Julian Steckel, Matthias Kirschnereit, Julia Fischer, Herbert Schuch, Nils Mönkemeyer, Paul Rivinius, William Youn and Lauma Skride. 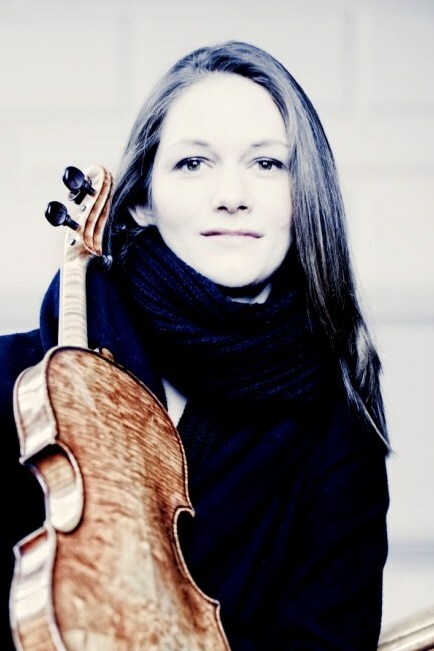 In 2010, Lena Neudauer (at the age of 26) was appointed Professor for violin at the Saar University of Music. Since autumn 2016 she has, together with her long time companion Julia Fischer, a professorship at the University of Music and Performing Arts Munich. She inspires and fascinates by “displaying such a sincerity of expression, such a maturity of presentation and a deep understanding of musical dimensions”(SVZ). 2015-2017 Lena Neudauer, Julian Steckel, William Youn and Nils Mänkemeyer are artists in residence of the Philharmonic Orchestra of Heidelberg. She plays on a Lorenzo Guadagnini from 1743.